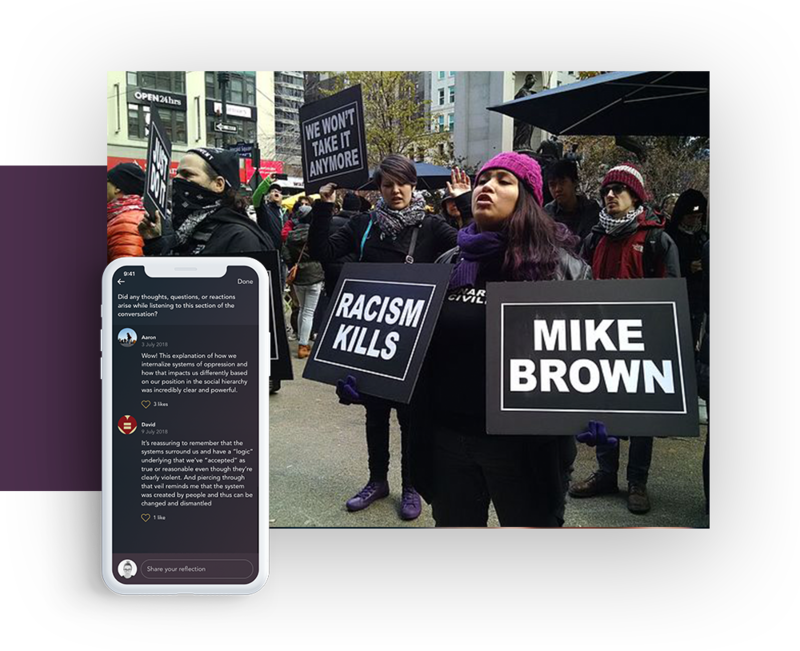 Awaken is a brand new app featuring teachings and practices by Rev. angel Kyodo williams, Lama Rod Owens, and BZC Co-Founder Sensei Greg Snyder focusing on examining and undoing systems of oppression. For each membership purchased through this page, Awaken will donate 50% of the proceeds to the Brooklyn Zen Center. Buy them for yourself or as gifts - or both! We hope to make Awaken the destination for teachings, practices, and virtual community that center social justice in a Buddhist context. We'll be releasing a conversation next month between Greg Snyder and Lama Rod Owens about Undoing Patriarchy, reflecting on the Undoing Patriarchy work that BZC has led over the past two years and including audio-guided competitive practices on the topic. Awaken is a great opportunity to both more deeply explore the intersection of Buddhism and social justice and support the Brooklyn Zen Center - see you on the app!